My 100th post!!! How fitting that I finally get to post pictures from my trip around Israel on my 100th. I have been a little overwhelmed with pictures from trips I have taken but not yet posted about. Looking through them and trying to decide what to post first has caused me to steer clear from them, instead I opted for what seemed easier; London. I hope you enjoyed posts covering some of my favorite spots in London. This is a first of a series of posts showcasing some of the places I visited in Israel. Having debated on where to stay while we were in Israel we settled on Shlomi. A town in the Northern District of Israel. Much of the town had sustained damage in the 2006 Lebanon War. Having arrived in Tel aviv fairly late meant by the time we picked up the rental car and drove to Shlomi we arrived at the hotel at 3am. There was no way of telling what the city looked like in darkness. When we finally emerged after much needed shuteye we were in scenic small town with our humble aboard overlooking beautiful mountains on the boarder with Lebanon. With no tell-tell signs of previous wars between neighbours. Our Log Cabin retreat came with full blown sunny days and dark nights that revealed star-studded skies away from the major-city light pollution. For a small town sitting close to the coastline, Shlomi’s main town area is only five minutes from the beach. Right on the beach or cliff side is also where you will find a unique tourist attraction on the border with Lebanon; Rosh HaNikra. These are grottoes created by pounding waves that have left underwater caves. There is a cable car that descends down to a tunnel that allows visitors to see the sea caves. The caves also go as far as 7 meters below sea level. Thousands of people flock here to see beautiful effects of what global warming has created in the resulting geological process that created the caves. The operators now call it “A love story between sea and the rock“. With plenty of beautiful spots to watch the sun go down we decided to head back down to the beach and explore the area. Driving passed the Kibbutz Rosh-Hanikra, created in 1949, they initiated the tourist project which includes the cable car and restaurant around the grottoes that are still open to the public today. Relaxing in the quite surrounding of the Shlomi’s beach fronts you will instantly forget that the border still has UN peace keeper presence and over across into the seas you have clear sight of the coast guards watching over the boundaries. Waves crashing into shoreline while the sun disappeared into the sea beyond, it was the perfect start to a fully packed itinerary that was going to see us drive to the Dead Sea, Tel aviv, Haifa, Jerusalem and stops to smaller towns such as Nahariya and Akko. Nahariya is another prime tourist town with beautiful beaches, great spots for cycling, hiking and lagoons waiting to be explored. It also has one of the most unusal spots for a cemetery; On the beach! We spent some time in Nahariya visiting my boyfriend’s family, while having to juggle Russian, English and Hebrew at the dinner table with such diverse heritage from his family. Both Nahariya and Akko(Acre) are within a few minutes(30 minutes give or take) drive from Shlomi. Although quite away from the major tourist cities of Israel, nevertheless beautiful towns that are worth a visit. Israel operates a rail link to Nahariya from Tel aviv then from there you can use cabs or buses to get to Shlomi. Buses are fairly frequent but none existent after 8 or 9pm. Below are some of the shots from our exploration of Shlomi and our stay at Barzilay Mansions. I love your photos! That place looks so lovely! What a beautiful beach. Sadly I haven´t been to Israel so far but I heard from other travelers it´s awesome. After seeing your pictures and reading your article I´d love to visit Israel too. You definitely have to. Its so beautiful! Thanks Calli, now trying to do just that. Hopefully I can get through the posts easily. Nice! Cant wait to see what you got upto! This place is awesome. I really want to visit Israel, but for some reason I imagined to be different…more desert and less Mediterranean-looking. Even though, of course, the Mediterranean is there. Silly me. Great pics! So did I! I was pleasantly suprised in most cases. You should definitely go. 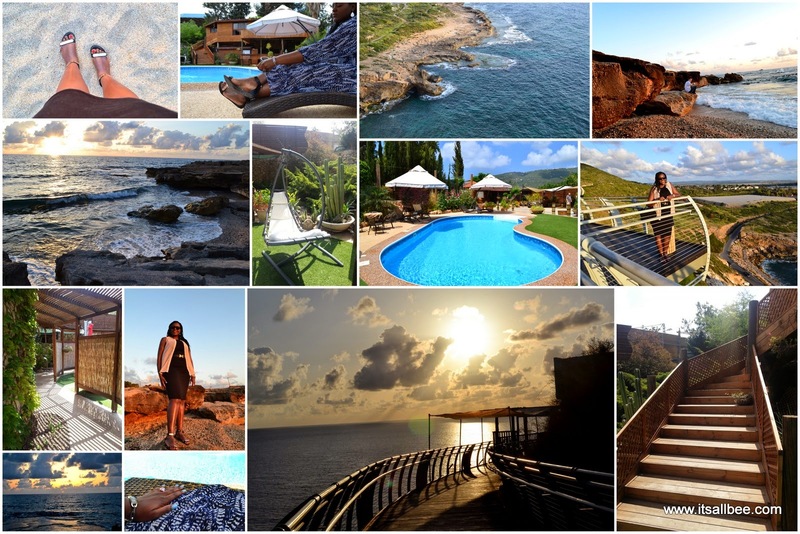 Congratulations on your 100th post 🙂 Beautiful photos – looks like a completely gorgeous resort! Thanks! You should! I am sure it will look so different when you go as there is a lot of development going on. What a unique and beautiful part of the Mediterranean. It is hard to believe that the peacekeepers are so close to Shlomi and its coast. Is this a popular weekend getaway in Israel? Looks like a nice break from city life. Yeah, but it was really relaxed. I can understand why the UN needs to be there as peace in this region tends to be fragile and only takes one stone coming over the border because fighting erupts. But Israel is more beautiful, safe and beautiful than I had expected. What a charming place to stay and the scenery is beautiful. If I didn't know any better I would have guessed these pictures were taken in Calforinia. I know! Not at all what I thought I would find. Really beautiful and unspoilt. Sounds like an idealistic holiday and so so beautiful! It was! You need to visit! It's not every day you see posts about Israel, so I loved your photos and post. Shlomi's not too far away from me right now, I'm in Byblos, which is in coastal Lebanon close to Israel and Syria. You're giving me a good reason to come up and see its beauty.. If you are close by then definitely check it out! Congrats on your 100th post, well done! I've never really considered going to Isreal for some way … maybe one day. Your pics are great btw! Yes you do! I am sure they will appreciate the trip too. Getting it sorted and visit soon. I am sure you will love it! It's a beautiful country and you managed to get some lovely pictures! Yes it is. I would love to visit again soon. Looks like a very nice spot. A part of the world I hope to visit one day. Dont wait too long. Book that flight soon! Gorgeous photos! You make me want to fly there right now! It looks like such a beautiful and relaxing place. Thank you! And yes get on that flight now. You will love israel! What a gorgeous spot! I'd love to spend the day exploring that beach. I am sure you would enjoy it! Less crowded too, leaving you to take in the sun in peace. Wow! That pool looks gorgeous! Don't think we'll be headed out to Israel soon but it sounds tempting! Also, I love this quote: "A love story between sea and the rock." And congrats on 100 posts!